Zest Mobile is an exciting new technology venture founded by 2013 BYM alumnus, David Lindeque. David’s persistent goal was Zest: a company with the vision of empowering Africans by making powerful, up-to-date mobile technology more affordable. According to David, obtaining efficient technology in Africa requires paying copious amounts to international firms. Consequently, most Africans are forced to settle for mediocre technology products. David designed the T1 smartphone so more users can obtain sophisticated devices. But his even greater challenge was figuring out how to ensure connectivity. Zest delivers a free SIM card with each purchase and provides its users with 1GB of free mobile data every month without contracts or obligations. David says Zest has seen other networks and companies offering as much as 200MB, but that these amounts simply are not enough because they are quickly exhausted. Zest is committed to ensuring Africans enjoy the social benefits associated with being more connected, including access to educational resources, banking or media information. David says, “BYM taught me it is our responsibility as young South Africans to stand up, challenge the status quo and create change. And he is doing exactly that by launching a company that promotes equality in information access. Check out the Zest Mobile. site here. And like Zest on Facebook here. Zest’s T1 smartphone is powered by a Quad Core 1.3GHz processor with 1GB RAM. It comes standard with 8GB of on-board storage. The camera comes with 8MP hardware that can be boosted to 12MP through software. And the display is a vivid 4.5″ qHD LCD. 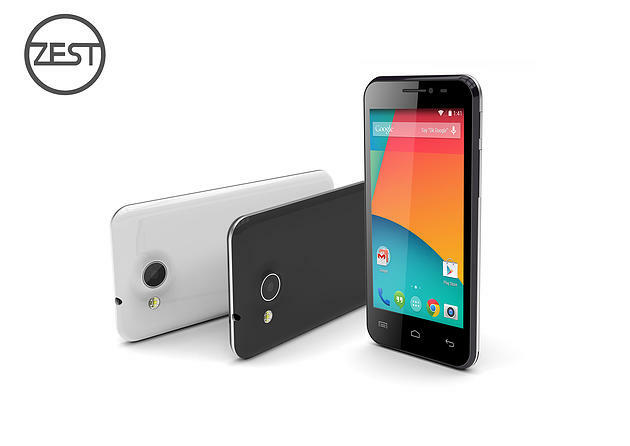 The device comes with custom Zest Android 4.4.2 KitKat firmware and will receive regular OTA Wireless updates. Because of the devices dual SIM function, users can keep their current SIM and cell number to SMS and call while using the Zest SIM to run all data. If the user exhausts the Zest data, he or she can use built-in functions on the device to top up their data at the best mobile data recharge rate in South Africa.